Resisting the trend toward cheaper production methods using foam rubber panels and plastic trees, saddles made by County Saddlery continue to be painstakingly handmade on our laminated beechwood trees, covered in the worlds finest leather, and flocked with pure wool to maximize your horses' comfort and fit. 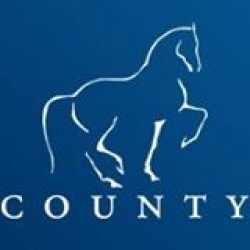 As one of the few saddlery companies in the world which actually make their own trees, County sets the industry standard in design and innovation. Our traditional methods take longer and require a higher degree of craftsmanship, but once you sit in a County saddle, we know you will agree that the results are clearly worth it. Although we custom make saddles for many of the worlds leading riders, our commitment to quality and detail is reflected in every saddle we make, including the one we will make for you.